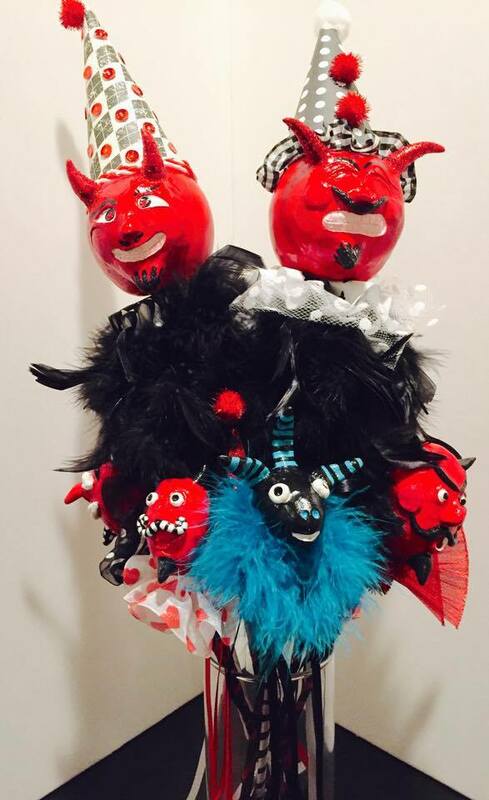 These are adorable and whimsical devil head puppets fashioned on sticks with flair. The heads are made out of paper clay. Finished with acrylic paint and shellacked to dry. They take about two days from start to finish. Light weight. This is why I love using paper clay. It is very light, fun to work with and does not crack. I use to enjoy polymer clay until I discovered this clay. I find polymer to be to heavy now but it can be baked for fast curing time.